Electrolysis is a treatment to remove unwanted facial and body hair. Electrolysis is the only method of hair removal which is allowed, by law, to be described as permanent. (Laser hair removal leads to permanent hair reduction) It is carried out by inserting extremely fine needles that carry an electrical current into individual hair follicles which lie under the surface of the skin, to destroy the hair at the root and prevent regrowth. When carried out correctly, electrolysis removes hair permanently, although several sessions may be required. For optimal results, several treatments and after-care advice are usually offered over a period of weeks. 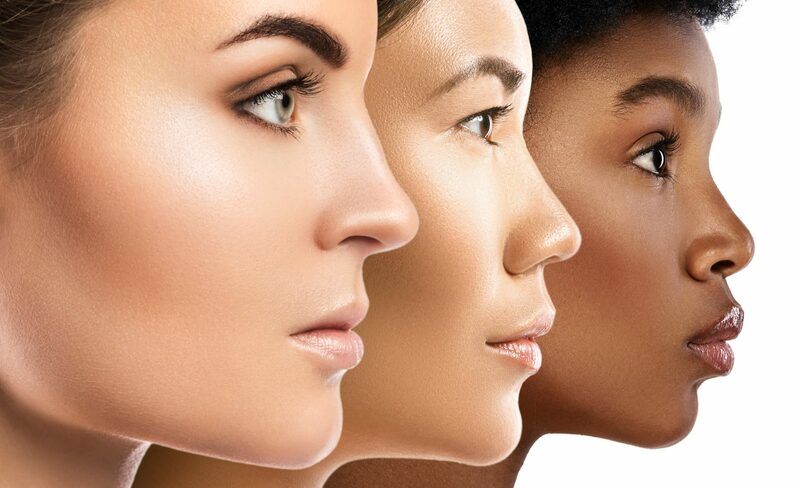 Electrolysis can also be used to remove superficial skin blemishes, moles, skin tags, thread veins and blood spots, usually in just one session of electrolysis. 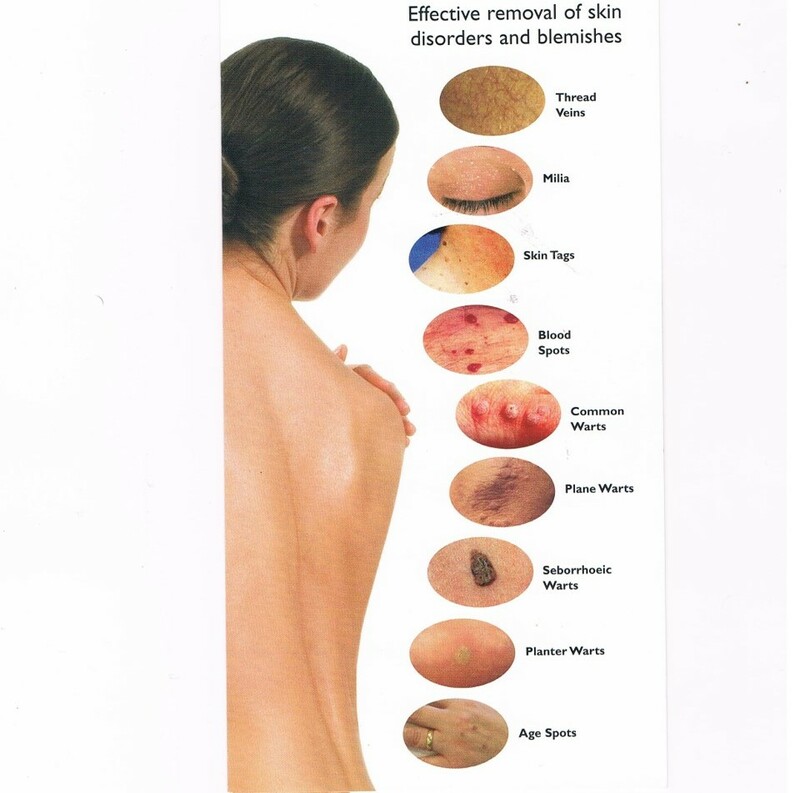 It can be used on most people including men and women who want body hair removed for cosmetic reasons, women who are suffering from hirsuitism (excess hair in a male pattern), which can be caused by the menopause, conditions such as polycystic ovary syndrome or steroid use, and clients who are undergoing gender reassignment from male to female. Conditions that may prevent treatment include: haemophilia, heart disorders, pacemakers, cochlear implant, contagious diseases and disorders, Hepatitis B, HIV, cancer or epilepsy. Conditions that may restrict treatment: steroid drugs, endocrine disorders, metal plates and pins, cardiovascular disorders, loss of tactile sensation in localised areas, skin disorders and diseases, nickel allergy, hairy moles, pregnancy, drugs/alcohol, cuts/abrasions/bruising, emotional problems, dermagraphic skin condition, microdermabrasion or dermabrasion, chemical peels, latex allergy (wear vinyl gloves), certain medications or creams (e.g. Ro-accutane, Retin A, retinol), breast implants (contra-indication to underarm treatment), epilepsy, diabetes, psoriasis, eczema, acne, dermabrasion on the areas to be treated. Your electrolysist has been trained by VTCT (Level 3 Certificate in Epilation) and Sterex for Short Wave Diathermy, Blend Method and Advanced Cosmetic Procedures. The Sterex SX-B Machine will be used and all needles will have been purchased from Sterex. If you are thinking about whether to attend for an initial consultation please either ring 01270 747 393 or email info@crewehairandskinclinic.uk. 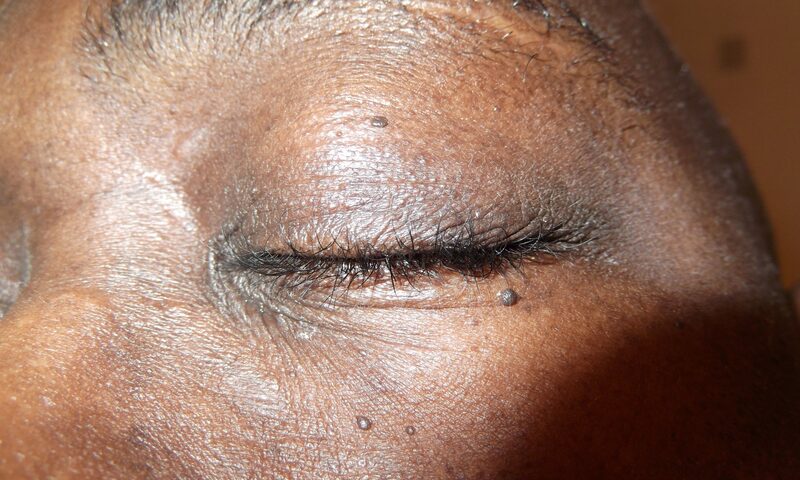 Dermatosis Papulosa Nigra (fleshy mole) under left eye treated using electrolysis. 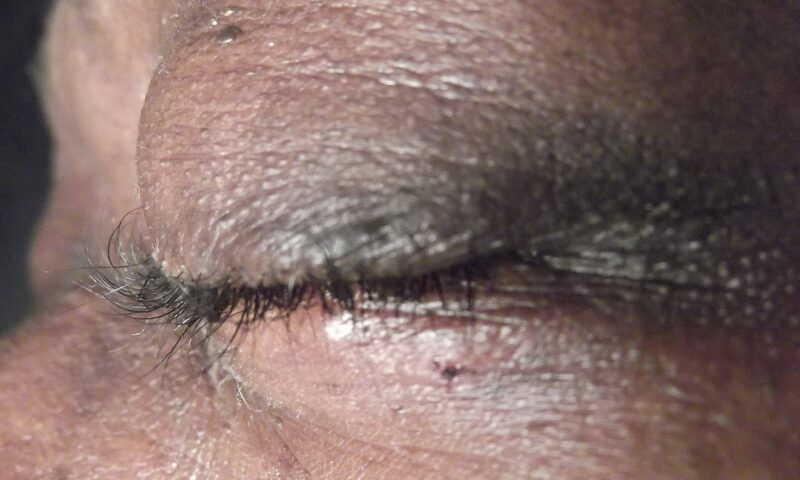 Note the bulk has been removed and a small scab is seen which drops off over the following weeks.